This custom logo citation paper bag - white is made from white Kraft paper. 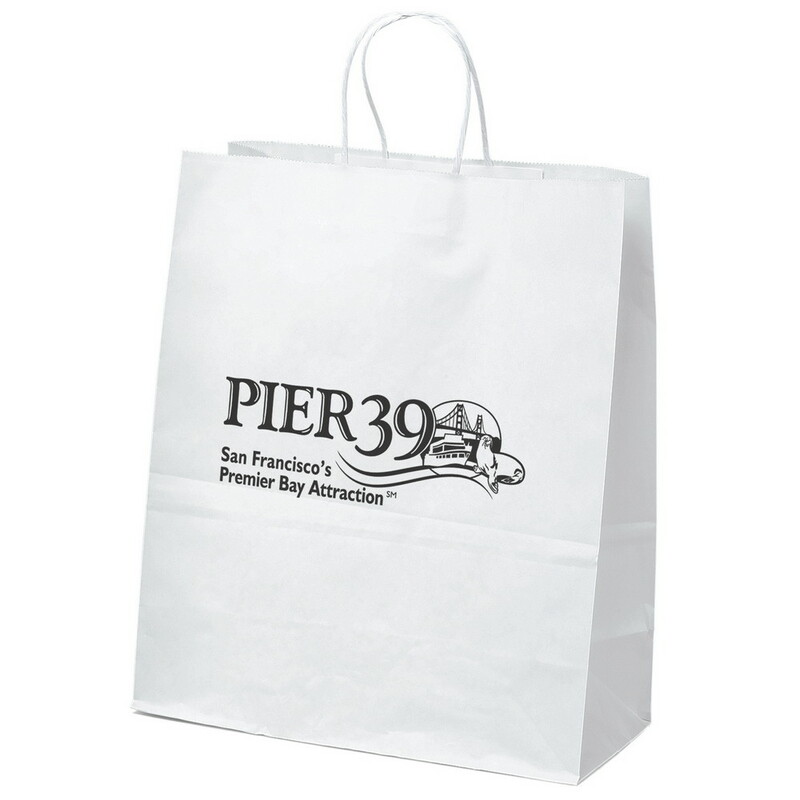 The Citation Paper Bag – White can be the first and last reference point of your next advertising campaign. This white Kraft paper shopping bag is made from 100% recycled paper. It has matching twisted paper handles and a serrated cut top. Imprint your company’s logo using flexographic ink and promote your brand as an eco-friendly one. Its white background offers a perfect backdrop to promote your brand and increase brand awareness. Use it as a giveaway at super markets and shopping malls.